A gray, large-format printer takes up the entire frame of a photograph. The printer can be used for smaller projects as well, but is ideal for projects that require larger paper. 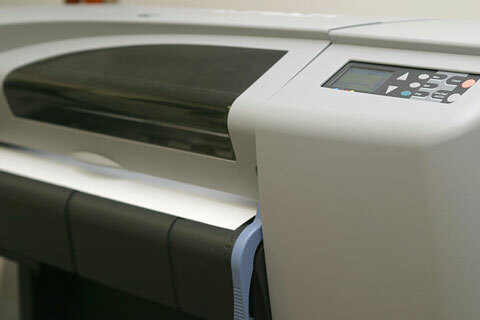 A touchpad on the right side of the printer allows the user to indicate the number of copies needed, the size of the copies, and how the copies should be formatted.